This is Part 1 about my general activities. Part 2 will be about the statistics and Part 3 is an Award Ceremony for all the characters I played. I continued to be in Guatemala most of the time in 2018. That meant that my playing was mainly online. But I also traveled a while in Germany which gave me the opportunity to find time for my f2f group and visit a convention. I also continued to play with my son, who turned seven in 2018. So generally 2017 was comparable to 2018. 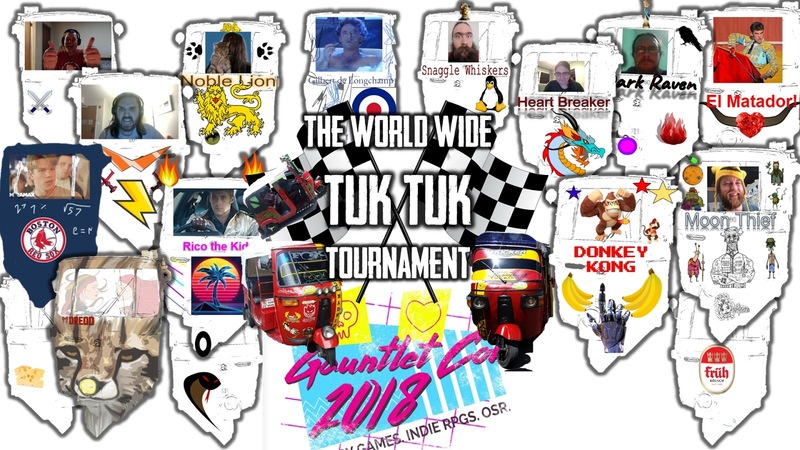 Main place for me to play and exchange was again the Gauntlet Slack with its amazing online gaming calendar and an inclusive and welcoming community. I gamed a bit less, but got even more into design with some first published games. Before I go deeper into statistics in a separate blog post, I would like to summarize what else has happened 2018 beside gaming. But stay with me, the statistics have some interesting points as well. 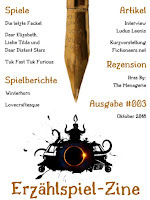 My German language writing output was with the Erzählspiel-Zine in which I act as a writer and co-editor for the main responsible people Tina and Thorsten. The zine team is publishing German language games, interviews and essays on a quarterly basis. 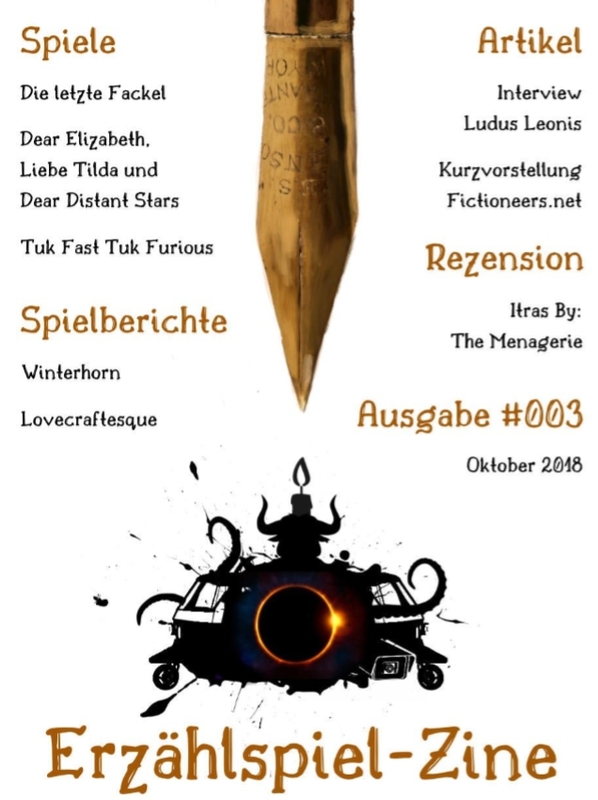 I published a play report for Winterhorn, contributed to Drachenreise (Dragon Journey), a Route Clearance hack, by Tina and my son and a workshop report for Tuk Fast Tuk Furious there. Online gaming was again the most important part of my gaming life with the Gauntlet calendar my most valuable resource for exciting games, facilitators and players. Other sources of online play but to a lesser degree was through spontaneous sessions between Gauntleteers. 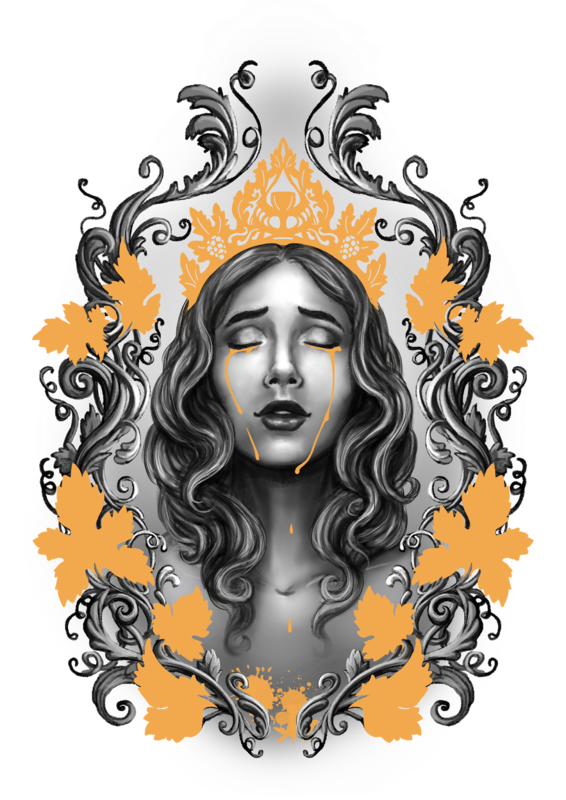 I was also part of the Mercy Falls series again by Jason Cordova, a Monsterhearts actual play (AP) series which gets transformed into a podcast series of cleaned and slightly edited 30 minutes pieces called Pocket Sized Play. I was in the '83 part of the series. The publication of the We Hunt the Keepers, a Dungeon World series by Jason Cordova, in which I played Arcon Megalon, the Brogar Psion, continued, too. So if you want to listen to my voice roleplaying a teenager called Julia nearly killing her friends and then getting killed by them, or hear me as a mind reader talking about the true meaning of friendship in a city where defecating in public is the norm, go ahead. 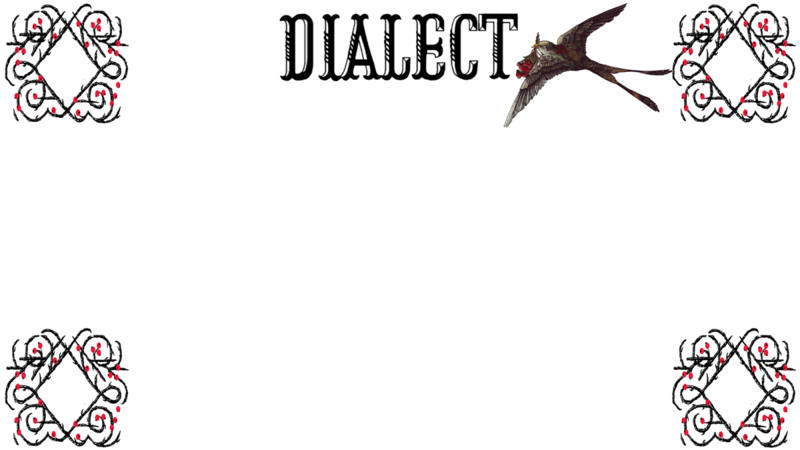 for the very first online game of Dialect (without the designers). Gauntlet Con happened last October and was as amazing as the first Con. It's an online gaming convention with hundreds of games on the calendar. I ran the First World Wide Tuk Tuk Tournament. 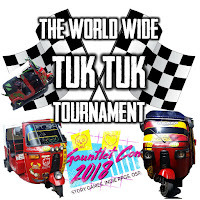 That meant that I played my short story game Tuk Fast Tuk Furious on each day of the con several times with different people but all built up one league and raced for championship. We even had give-aways for the winners from Magpie Games and The Gauntlet. Part of the fun with Tuk Fast Tuk Furious is that players have an online template at hand to design their own tuk tuk front. This is how the designed túk tuks looked like. Beautiful, aren't they? At the beginning of the year I returned to some degree to my roots. 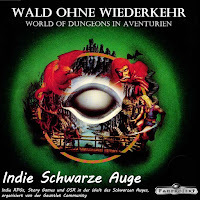 The system and even more importantly the setting I grew up with is The Dark Eye, often explained as the German D&D in terms of popularity and impact. In 2017, I hadn’t played anything related to The Dark Eye and started missing it. Then again, the rules system is simply too trad for my taste. I also wanted to run games in German on the Gauntlet calendar since the German language part of the community had grown significantly. So I started playing Indie RPGs in the world of The Dark Eye and still do so. It’s a lot of fun since many Germans have strong memories and / or opinions about The Dark Eye, so throwing Cthulhu Dark, The Quiet Year etc into it was providing interesting and highly enjoyable results. 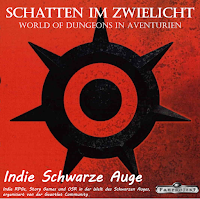 Find more about my Indie Schwarze Auge project and Actual Plays in this blog entry. The other project I started on the Gauntlet was how to bring larps into online spaces. The most well-known example is Raphael Chandler’S ViewScream. I started with writing a version of Winterhorn that was suitable for online play. In Winterhorn, players are participants of a meeting of different public agencies. Nothing easier than assuming that a modern agency would offer home office and video conferences to their employees. 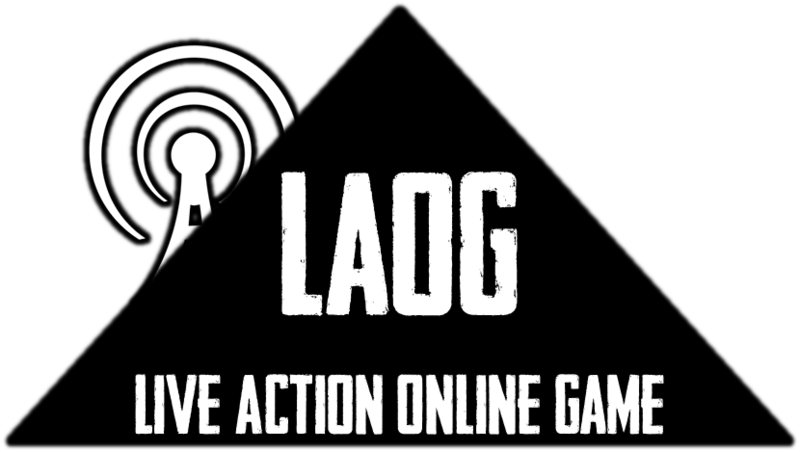 The idea of live action online games, laogs, was born. I wrote a manifesto for it. I re-shaped existing games for the concept and finally designed games specifically for it. Read more about laogs in this blog entry. My fun in designing games was unbroken in 2018. Jason Cordova was my mentor for half a year which meant that we had monthly design talks about a design I made. That gave me a good pace. I had some playtests online for Atitlan Riders and from there continued to develop a much more personal edition of the game. 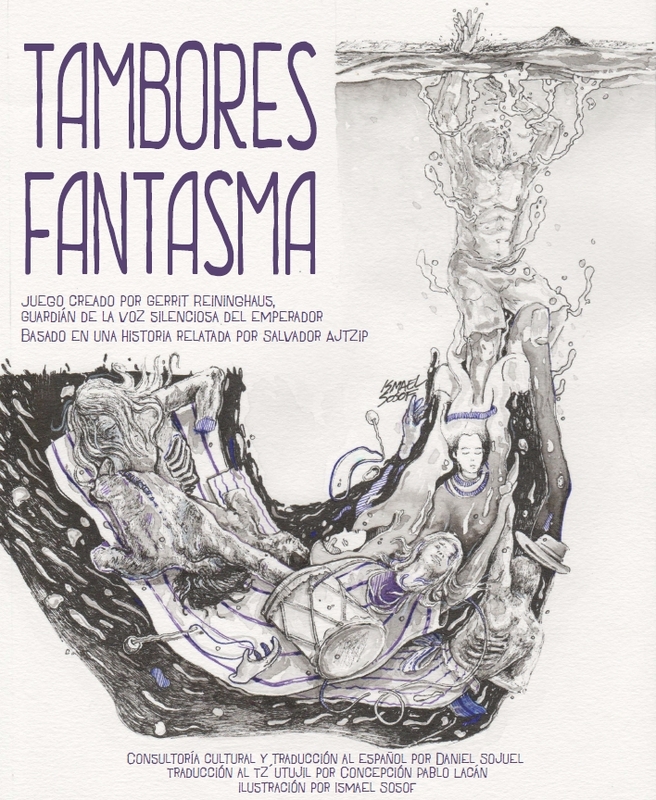 I learnt about some amazing local Mayan folk tales in Santiago Atitlan and designed Ghost Drums together with Daniel Sojuel. 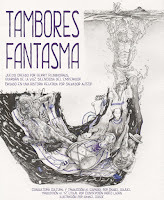 Ghost Drums was published in the Gauntlet Codex Dark 2, the Gauntlet’s monthly game zine which you can buy on DriveThruRPG. The Election of the Wine Queen (published in April 2019 in Codex Sunlight), the laog adaption of End Game were other outputs from my design desires. More about the Wine Queen in a separate article one day. 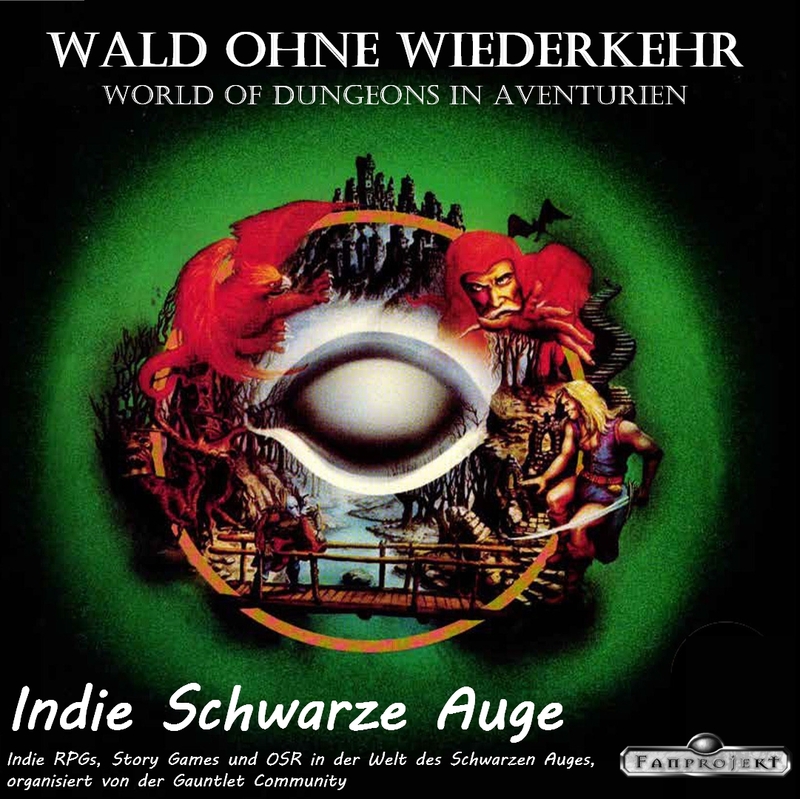 For my Indie Schwarze Auge sessions, I re-built World of Dungeons to fit to The Dark Eye 1st edition, called World of Aventurien. For Cheat Your Own Adventure I developed variants which can better be played on a walk and with kids, based on my many games I played with my son. For The Quiet Year I wrote a hack in which you play climate justice acitvists living in tree houses and protecting an old forest against corporate greed, based on the events around the #hambibleibt activists in Germany. The Gauntlet stayed my main focus of community and exchange in 2018. The Gauntlet’s Slack, only available to Patreons, doubled in size (to ~400), the number of the games of the calendar is now 200 per month, all Indie and OSR games. I played more than half of my sessions through the Gauntlet calendar. I’m active in the organization’s broader team with community tasks: I manage and curate the online Play Aids folder with character keepers and the like for more than 130 games now. Together with Tomer Gurantz I take care for community tasks. I especially feel responsible for welcoming new German speaking Gauntleteers. Tomer and I have made a New User Orientation video. Since Metatopia 2017, I had the idea of organizing a small, private gaming convention in Guatemala with a three-fold focus: i) the place we live there is incredibly scenic and fantastic for the soul to explore, ii) building connections between the Indie gaming scene and the people from Santiago Atitlán and iii) having a good time together with a better balance between enthusiastic gaming, personal well-being and learning from each other and the place we are in. I explored a bit among people in the scene, and received lots of support. Alex Roberts was excited enough to become my co-organizer which meant working on documents together and having monthly calls. Larson Kasper was another great help in the background although he himself couldn’t come in the end. That’s how the Tres Volcanes Gaming Retreat was born. The retreat itself only happened beginning of this year, so that is something I will talk more about in next year’s summary. The organization though kept me busy most of the second half of 2018. It was a good and interesting experience. 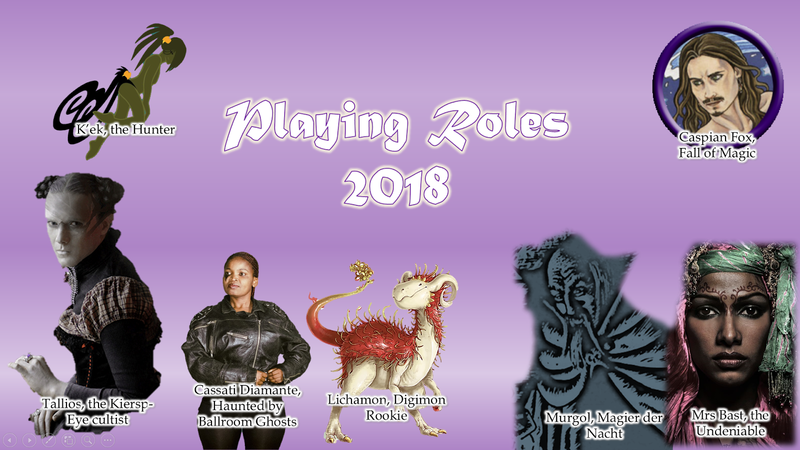 In 2018, I became active on Twitter for RPG purposes. I already had an account for many years but only used it to to keep myself updated by political allies and work related networks. Twitter RPG is actually a good place and helped me to get to know parts of the scene I wasn’t aware of. Latest after the announcement of Google plus’ shutdown, it seemed also be the place where a good part of the community went to. Since Google plus was the place of my 'awakening' roleplaying-wise and where I had the best exchanges for the last 7 years, it was now time to look for something new. 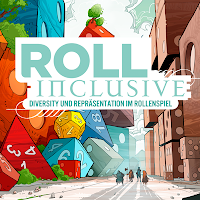 Especially nice was that a good part of the German Indie RPG scene is very active on Twitter. That helped me to get in touch with them right in time before my summer traveling through Germany so we had a chance to meet in person. However, I’m not happy on Twitter. I will continue using it. But it’s nothing like a real community and not a good place for honest and deep discussions for me. Your mileage may vary, but for me, the format just doesn’t work. I see a high degree of performative and agenda driven postings there. I see polarization and arguments getting more heated or discussions staying too flat due to the character limit and the structure of responses. What I enjoyed in Google Plus was that I could carefully curate to whom I’m posting, that I could actively decide in which parts of somebody’s life I’m interested and the totality of Twitter is just the opposite of all of this - and my opinion: not healthy. Fortunately, there is a new star for good and deep discussions for me now available: The Gauntlet Forums are bringing back forum discussions but with modern technology. I can tag people in, I have tools to properly embed media and can design my own user experience. So far, many of my favorite people in RPG are already active there and I feel comfortable to bring myself in. One result of many discussions around how we play our games in 2018 was that play culture is an important element and one we can actively work on. While I can’t directly change culture, tools and procedures in our games and gaming sessions can support certain play cultures. With that in mind, I wrote an article called Sharing The Cognitive Load, which discusses possibilities how a facilitator can include other players at the table in tasks we usually associate with the facilitator alone. Among these tasks is moderating a debrief. Debrief, de-role, reflecting about the experience is an important part of a game session for me. So I have built in several procedures in my designs and provided a template for debriefing. At Gauntlet Con I was on an interesting panel about feedback and debrief which lead to many thoughtful discussions afterwards. As already mentioned, the year 2019 started with an event I won’t forget for the rest of my life. 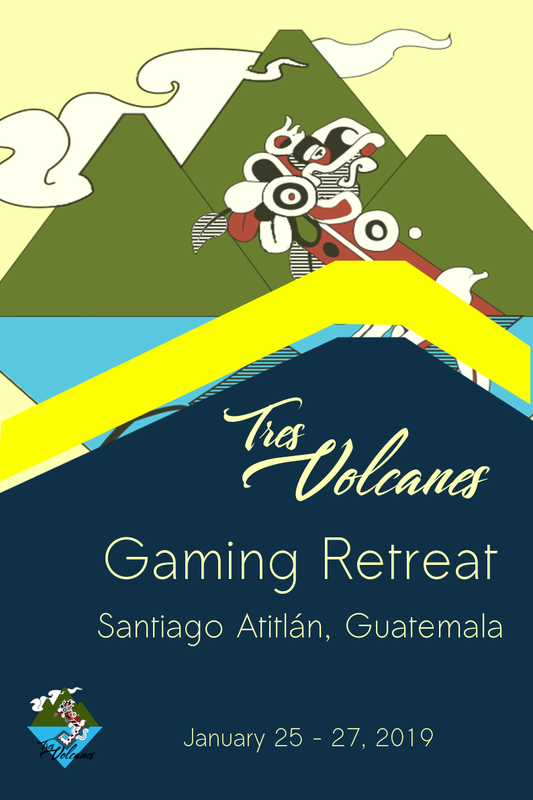 The Tres Volcanes Gaming Retreat was truly amazing. But afterwars, moving from one continent to another kept me away from too much gaming for a while. I will also become father a second time in my life this year if all goes well. So it doesn’t look like a very intense year for gaming for me. Nevertheless, sometimes small scale projects turn into something truly important and great. 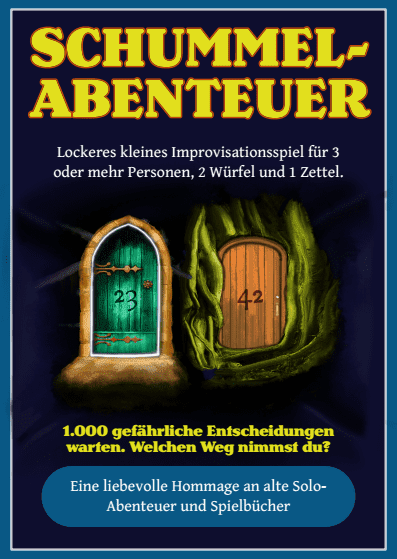 One of the best examples was the Gratisrollenspieltag, the Free RPG Day in Germany, this year, for which Thorsten, Tina, Sabine and I made a printed translation of Cheat Your Own Adventure, Schummelabenteuer thanks to the fabulous support of the German Indie scene through a micro-crowdfunding. I’m about to do more larping this year and plan to go to a larpwrite retreat. The very special 3W6 convention in Vienna is something to look forward to. 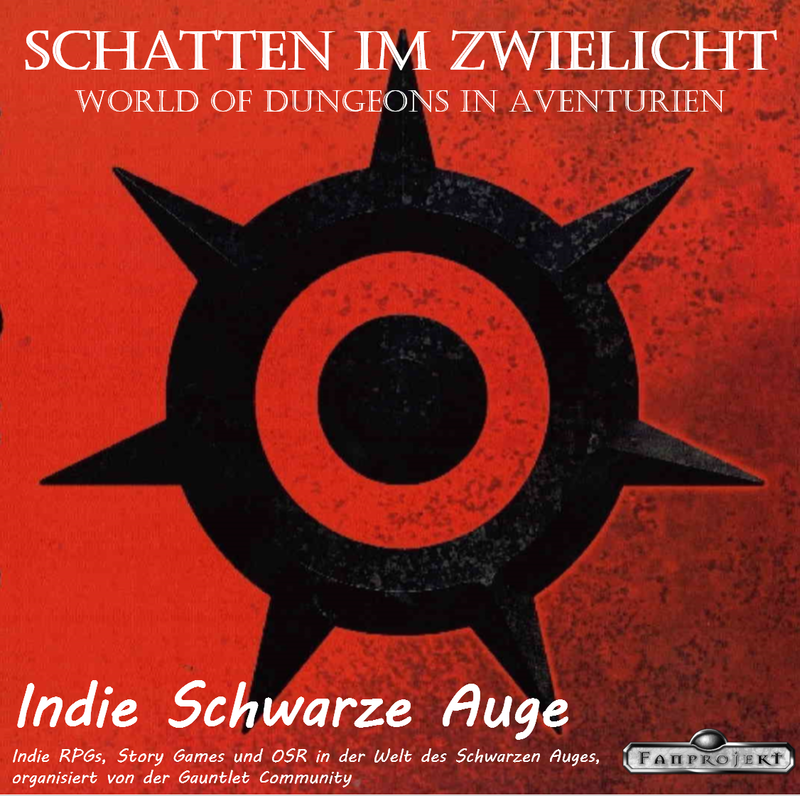 I’m also eager to have a full weekend with my f2f group again to continue our decade long Dark Eye campaign Sieben Gezeichnete (we are at Rohals Versprechen now). A few more games and supplements will be published this year, too. I had been a stretchgoal for several crowdfunding campaigns and some of them were something really enjoyable to work on. For BrieBeau Sheldon’s Turn KS, I’m writing a supplement about my home town Halver, for the #rollInclusive KS I’m writing a laog which limits communication channels between players, for the Ulisses crowdfunding Drachenhandbücher II, the Erzählspiel-Zine editors, Tina Thorsten and I, wrote an essay about Emotional Play. So, I expect a relatively calm year RPG-wise but fortunately, calm nowadays means lots of good gaming and a continuous extension of my horizon for me. This was Part 1 of me looking back into 2018. Part 2 will discuss the statistics I made and what I learnt from them.